I’ve casually golfed a few times in my life, though I couldn’t tell you what my handicap is. I can play a mean game of miniature golf; I’m a pro at hitting the ball through the rotating windmill every time. I’ve played enough of both games to be familiar with the equipment, some of the rules and the importance of skill development. Today on National Golf Day, let’s take a look at some golfing terminology and how it relates to network marketing. Can you read the greens? Golf Clubs – You can have a maximum of 14 clubs in your golf bag, according to the USGA. It’s important to choose which club to use for which shot. Likewise, products by PURE target specific needs so you want to choose correctly. Just as one selects their clubs to their shot; customize the products by PURE to your body’s needs. Caddie – They don’t just clean clubs, replace divots and carry your gear, they may advise on club selection or recommend strategies. Likewise, your upline is your mentor and is available to offer advice. They’ve walked in your footsteps and know the tools you need to succeed. A good caddie can be worth several strokes a round; a good leader can propel your business to unimaginable heights. Grand Slam – This is when a golfer wins four major championships in the same year. I like to compare this to our CORE4 set of products, HealthTrim® Cleanse, GoYin, Daily Build and ENERGY, which together form a strong foundation and help set the stage for optimal wellness. Winning four championships fuels your career; CORE4 fuels your body with key nutrients to maximize you. Grain – Talk about details! Golfers can be very adept at knowing which way the grain runs in grass, as it can affect the direction a putt breaks. When you are that in tune with your customer’s needs and wants, you will win them over. Don’t try to go against the grain in golf or your business. Mechanics – How you swing and hold the club may be basic principles, but they play a big part in your game. As a network marketer, you have tools at your disposal to help you work on your swing. How you hold the club is just as important as the way you contact your prospects, share product benefits and follow up. Follow-through – This action in a golf swing will help you gain proper tempo and the correct finishing point. How about in your business? Do you consistently finish strong? Building momentum in your follow-through will help you win the game; building strong relationships in your business will open many doors. Press – This is when you try and hit the ball harder than usual. Don’t overdo it. Your outcome is dependent on your actions, no one else’s. In golf, there’s no one to blame for a shot except yourself; in network marketing, be yourself; be natural. It’s time to tee up — are you ready? Next time you play golf, think about how it can help with your PURE business. Conversely, next time you pitch your story to a customer, get some inspiration from your game of golf. The Masters begin on April 11. Apply some of golfing’s lessons to your business. Find your strengths and play to those. You just might make some birdies! Welcome to 2019! Are you one of the many Americans who make New Year’s resolutions? Are you successful at achieving them? Research says that more than 50% of people who make New Year’s resolutions generally keep them for the first two weeks, but by the end of the first month that number declines and at six months many people have completely abandoned those resolutions. Any guesses as to what the number-one New Year’s resolution was in 2018? Losing weight topped the list. How many of you agree and even have it on the top of your resolution list for 2019? I know it has frequently topped my list. Do you wonder how and if you can succeed with your resolution? You can, and I’ll explain. Losing weight can feel like a never-ending cycle. Sometimes it seems like you try every “diet” plan and workout on the market, but they turn out to be failures. There is a difference between healthy eating and dieting. Dieting makes you hungry. Diets are temporary and often unrealistic. A philosophy of ours at PURE, called Cleanse, Balance, Build, Focus, teaches that when you give the body what it needs, it will be able to do what it was created to do. In other words, if you feed your body health and wellness, it will provide health and wellness in return. If you feed the body garbage, well, that’s what will come out. Begin with a strong foundation. The products in CORE4 help set the stage for optimal wellness. Start by cleansing your body of internal and environmental toxins. Next balance your mood and stress levels. Then, build key nutrients and provide focus and mental well-being. Cleanse your body with HealthTrim® Cleanse. Our world is swarming with toxins. They are in the air we breathe, the water we drink, and the food we eat. And, they’re not just physical. We have mental toxins, too. Check out PURE’s Detox Program below. Balance your body with GoYin. Every system in the body strives to maintain status quo. When something is out of balance, our bodies will do what’s necessary to get that balance back. This isn’t just about physical balance, but emotional, mental and spiritual balance, too. Build your body with Daily Build. We must provide our body with the basic nutrients needed to be strong and healthy. Also, one size NEVER fits all. You must find and give your body what it needs to be healthy. Focus with ENERGY. You are doing this for you; not for someone else. You must get healthy for you, and you can do this when you focus. A way to jump-start the cleanse/detoxification process is to start with the Detox program and then you go into CORE4. Or, if you started with the CORE4 and you are ready to take your detoxing a step further then we recommend participating in PURE’s Detox program. Successful weight loss consists of healthy eating and regular physical activity. Jump-start your journey with a combination of herbs and botanicals that help facilitate the removal of toxins from the body. Join Team28 with people who have made the same resolutions as you. Read success stories and frequently asked questions, find delicious, detox-friendly recipes and more. Submit before and after photos to win prizes. This is your year. It’s your time not just to lose the weight, but to become the healthy person you were created to be. Use PURE’s philosophy combined with a healthy diet and regular exercise to lose weight and keep it off. Make that your resolution for 2019. Weight loss results may vary based on individual users. Products by PURE are designed to be used in conjunction with a sensible diet and regular exercise. Persons interested in using products by PURE or programs to maintain healthy weight should consult with their health care provider prior to beginning any new nutrition and exercise program. Veronica Fuller, a PURE Independent Business Owner (IBO) and multi-medaled veteran, is a fine example of the PURE philosophy as she participated in and benefited from the 28-day detox program and thoroughly enjoys making a difference in the lives of others. Veronica served in the U.S. Navy from 1987 to 1998 as a hospital corpsman providing medical care for sailors. She was stationed in Maryland, Virginia, Naval Station Rota in Spain and on the Navy’s hospital ship USNS Comfort. Her honors include the Good Conduct Medal, National Defense Service Medal, Southwest Asia Service Medal, Navy Unit Commendation, Battle “E” Ribbon, Combat Action Ribbon, Kuwait Liberation Medal, Overseas Service Ribbon, Armed Forces Medal, Military Unit Commendation and Sea Service Ribbon. After retiring due to medical reasons, Veronica integrated back into civilian life working as an OB/GYN clinical nurse. She then returned to school to obtain her medical esthetician license. Her favorite product is SleepTrim because, she says, “Let’s face it, who doesn’t want to have your body working for you while you sleep?” ENERGY was her second favorite although she thinks it should be called “Focus” because it gives her so much mental clarity. Veronica is an inspiration to us all. She helped those who fought for our country and is now reaching out and helping others discover Whole Health. We are thankful for her service and honored that she is part of our PURE family. Learn more about how PURE and DAV are making a difference in the lives of veterans. If you’d like to learn more about the PURE Detox and what it can do for you, visit https://livepure.com/7-day-detox. Are you interested in sharing your story? Email marketing@livepure.com – we’d love to feature you! **Individual results may vary. PURE 7-Day Detox Program lowers your calorie intake and suggests physical activity for best results. Share the plan with your doctor if you have a medical condition or are taking prescription medications prior to use. We’ve got everyone on your list covered … with Whole Health! It’s that time of year again — time to make your holiday shopping lists. We’re here to make the task less daunting, because there’s nothing easier, nor better, than getting and receiving the gift of health. Products by PURE are just right and they don’t require a trip to the mall, nor will their novelty wear off. 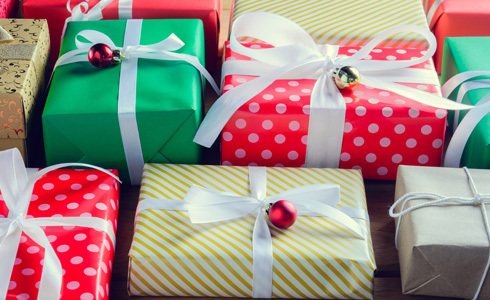 We’ve listed some of the folks who may be on your holiday shopping list and we’ve paired them with products by PURE that are most likely to elicit a ‘Yes!’ from them on Christmas morning. The person who loves the outdoors – If you have a camper in the family, make sure they have clean water wherever they go with the H2O Filtration System and the Daily pH Plus Filter. The fitness enthusiast – Give them a product from our GPS line or the full System! No matter what their activity, help them navigate to their peak performance before, during and after with quality nutrition. The recent graduate – Introduce them to the PURE business to get a head start on developing their income. The traveler – Airports, planes and trains are hubs for germs. Help them keep their immune system strong from the inside with Immune6 and Silver* and from the outside with Skin Defense. The veteran – Let them know how much you care by donating to DAV (Disabled American Veterans), our philanthropic partner, through livepure.com/giveback. The PURE Independent Business Owner – The more sales tools, the better! Check out livepure.com for our new GPS Playbook, updated Product Guide for winter, GPS sampling sleeves, and more, and get their business on track for the new year! The chef – They’re always baking up something delicious. Give them a bag of Mila, a bottle of GoYin or perhaps some ENERGY sticks in different flavors. They’ll have fun experimenting with new recipes using these versatile products. The artist – Not only will they love the taste of our delicious superfruits and GoYin, but once the beautiful bottles are empty, they’ll enjoy finding creative ways to reuse them. The teacher – Skin Defense is a unique spray that defends from the outside against elements in the environment, like the classroom. It also hydrates the skin while it manages minor wounds. Available in bulk, too, because there’s always more than one favorite teacher. There’s no better way to show your love than with the gift of health. Products by PURE offer the best of science and nature and deliver real results. They are also convenient for every day use. Looking for must-have stocking stuffers? Place a few ENERGY sticks in every flavor, or some GPS Hydrate or GPS Energize. Give everyone a 2oz. Skin Defense. Take advantage of the 12 Days of Christmas promotions going on now through December 12. Many customers can order by December 18 for Christmas delivery. Did we catch everyone on your list? Still stumped on what to get? Visit livepure.com to browse over 40 products. Don’t forget to treat yourself, too! Today, May 4, is National Star Wars Day and fans everywhere are celebrating. There are many lessons to be learned from the Star Wars saga. Some of these lessons can be applied to our CORE4 products, which we like to celebrate here at PURE. The Force — This is what gives a Jedi his power. It’s an energy field created by all living things, surrounding and penetrating us. It binds the galaxy together. The Padawans strive to work with the Force to achieve personal success. Only when they connect are they able to harness their skills and make a difference. Just like the Force, CORE4 gives us that edge our bodies crave and deserve. We, too, work with CORE4 to achieve personal success. Actions — They define our legacy. Yoda wouldn’t train Luke and help him raise an X-Wing out of the swamp if he knew it wouldn’t come to anything. So, why not give your body the best it deserves with key ingredients from CORE4? They will have an impact in the long run. Patience — Sometimes progress happens slowly and may feel like you’re frozen in carbonite. When taking a supplement, be patient and consistent. Know that something great is happening inside of your body. Taking the products consistently goes a long way. 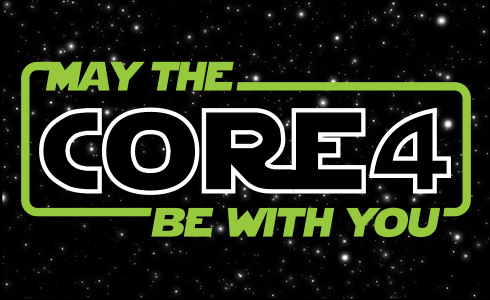 We think a Jedi Master would approve of our CORE4 products. No matter what the situation, CORE4 is always on your side, ready to maximize you. May the CORE4 be with you. What does CORE4 mean to you? Add these four products to your daily regimen, have fun, and may the CORE4 be with you! When the weather warms up and the flowers start to bloom, it’s time for spring cleaning, or spring cleansing. We can finally open the windows and start dusting what has settled over the winter. Along with cleaning the house and swapping out my winter clothes for shorts and T-shirts, I want to be sure I cleanse my body, too. We live in a toxic environment and our bodies are bombarded with chemicals and other potentially harmful substances on a daily basis. Toxins are found in the food we eat, the air we breathe, and the water we drink. They can also be found in commercially packaged products we buy and probably use every day. These toxins are causing us to be ill. The following signs may indicate toxic overload in the body. If you suffer from any of these on a regular basis, you might try cleansing and see if they disappear. When we drink caffeine and alcohol, we are ingesting toxins. When we eat bread, cheese and processed meat, we are ingesting salt, saturated fats, chemicals, hormones and antibiotics that all put a strain on the liver. These things can also cause high blood pressure, bloating and kidney problems. Medications, food additives, preservatives, food colorings, sweeteners and flavor enhancers contribute to internal toxins as well. Detox naturally with HealthTrim® Cleanse. A CORE4 product, HealthTrim Cleanse is a gentle, natural, non-fasting way to remove harmful toxins from the body through the seven channels of elimination: Blood, Colon, Kidney, Liver, Lung, Lymph, and Skin. Blood is supported by Burdock (root), Red Clover (herb), and Dandelion (root & leaf). 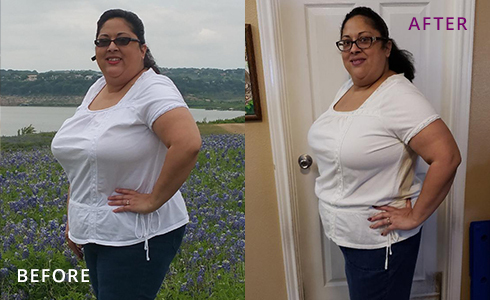 HealthTrim Cleanse also helps you meet and/or maintain your weight loss goals. You might be surprised with how much waste you have in your intestines. HealthTrim Cleanse supports clearing out your intestines. HealthTrim Cleanse supports the elimination of these toxins from the body, promoting digestive health while maintaining normal intestinal microflora. In addition to supplementing with HealthTrim Cleanse, be sure to eat a healthy diet, get regular cardiovascular exercise, hydrate with water, and eliminate alcohol, coffee, cigarettes, refined sugars and saturated fats, and increase digestive enzymes by eating fruits and vegetables. 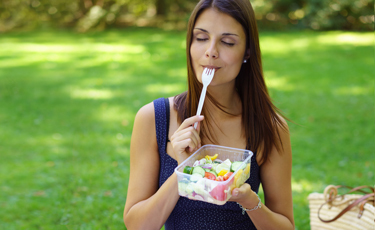 Eating leafy greens and sprouted foods may help cleanse your body. Leafy greens, such as arugula, bok choy, endive, kale, lettuce, mustard greens, cabbage, spinach, Swiss chard and wild greens contain vitamins, minerals, phytochemicals, and chlorophyll, which help purify the blood and organs. Bulking up your diet with these foods can help your body. Consider adding several of these to your daily regimen to help create better health and vitality.